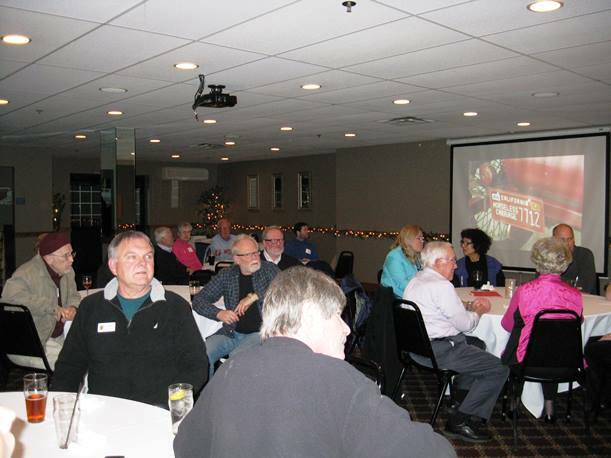 More than 60 members and guests helped the region observe its 55th year as a PCA region on Friday, April 24, 2015, at the Delafield Brewhaus. 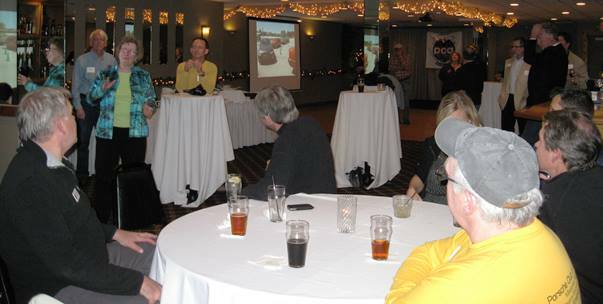 The event was sponsored by International Autos - Porsche of Waukesha. 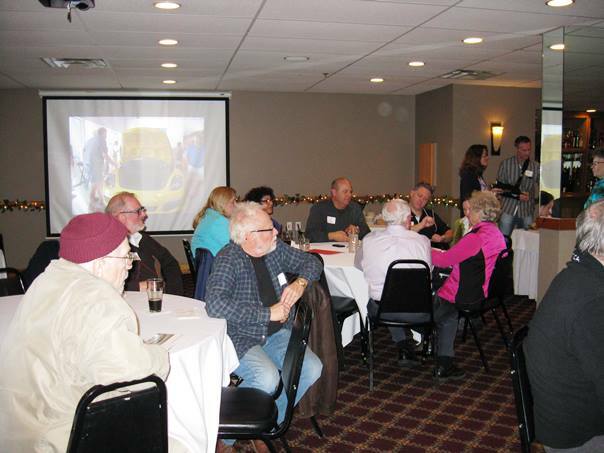 Over conversation about Porsches and the many activities the region offers, members enjoyed a beautiful buffet of hot and cold appetizers and beverages of their choice. 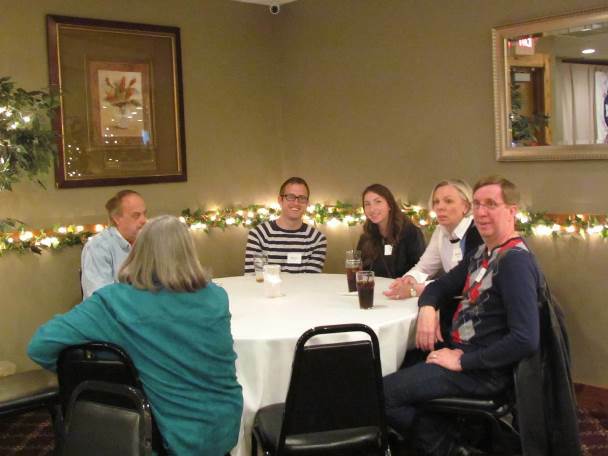 An informal affair, the evening was a huge success. 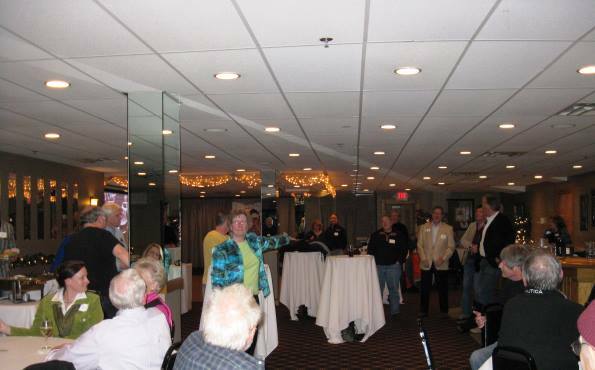 Current Region President Donna Daufenbach took a few minutes to welcome everyone and acknowledge the work of board and committee members past and present. "It is these people who make the region run," she said. 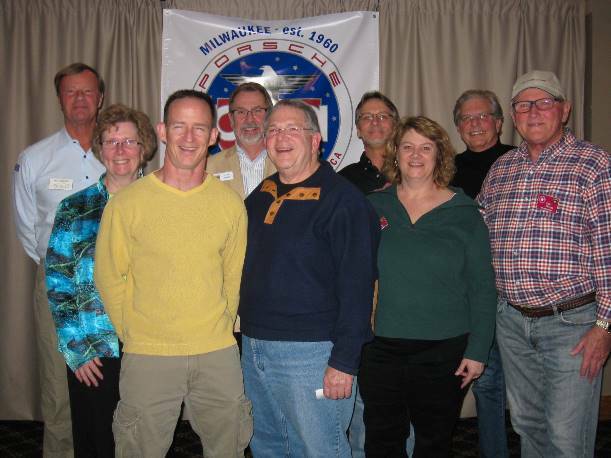 On hand for this special event were several of the region's past presidents dating back to the 1980s including (left to right): Gregg Eisenhardt, Donna Daufenbach, George Kowalski, Don Kiepert, Ron Pace, Rick Zinda, Renee Messing, Bob Shellman and Gary Messing. 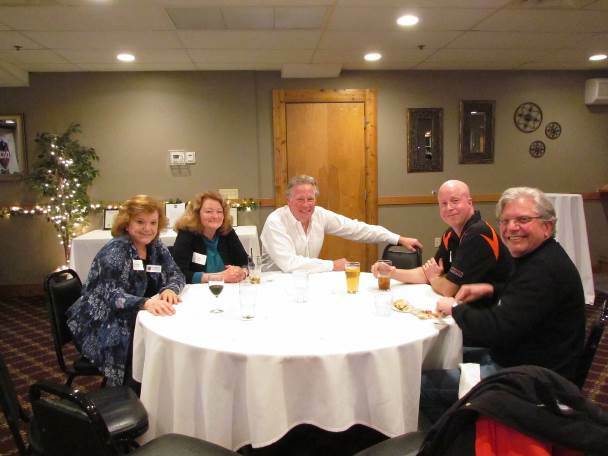 A special thanks to International Autos Porsche of Waukesha for sponsoring the evening. Representing International Autos - Porsche was Aaron Vrhovnik, certified Porsche sales consultant, and Trevor Erickson, Porsche brand ambassador. 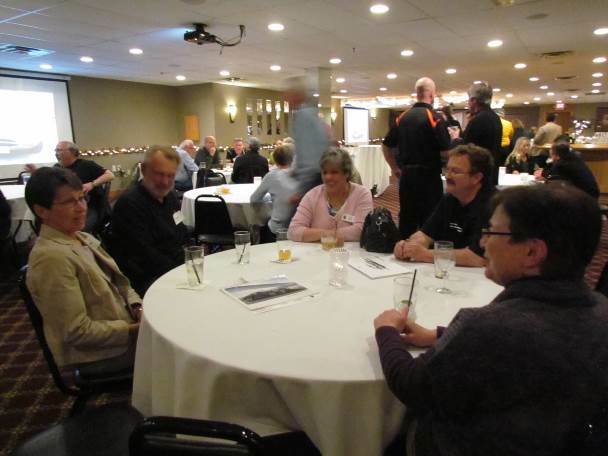 Attendees included some of the region's longest-standing members, including founding member Harold "Hal" Zimdars, as well as several who joined more recently. 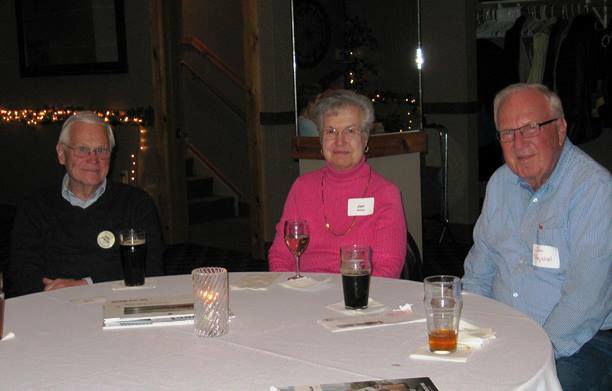 Tom Spiegel, left, along with his wife Jan Spiegel, have been members since 1963. They were joined by Jim Peychal. Region President Donna Daufenbach welcomes attendees and acknowledges current and past board and committee chairs for their commitment to the region.